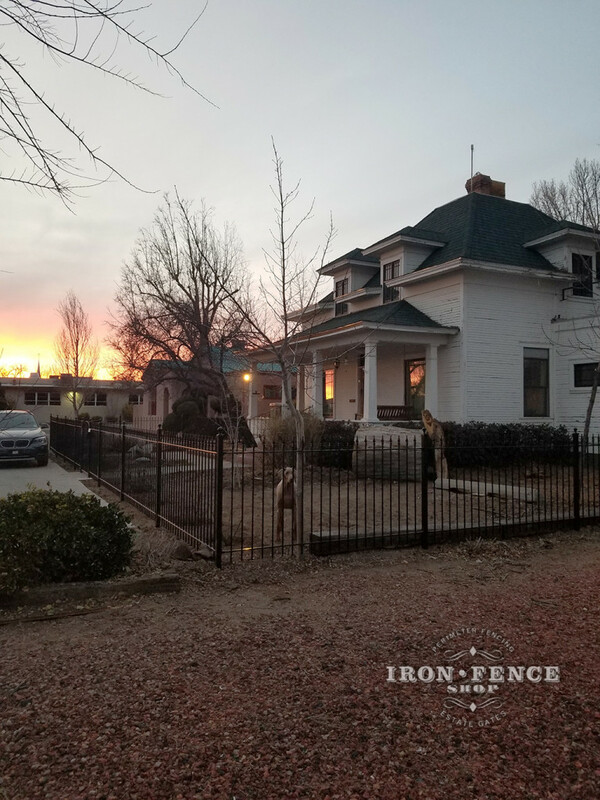 A Wrought Iron Fence Testimonial from New Mexico! We received these absolutely stunning photos from one of our Stronghold Iron customers in New Mexico. Check out the finished project photos and what they had to say! An Infinity Aluminum Fence Testimonial from South Carolina! 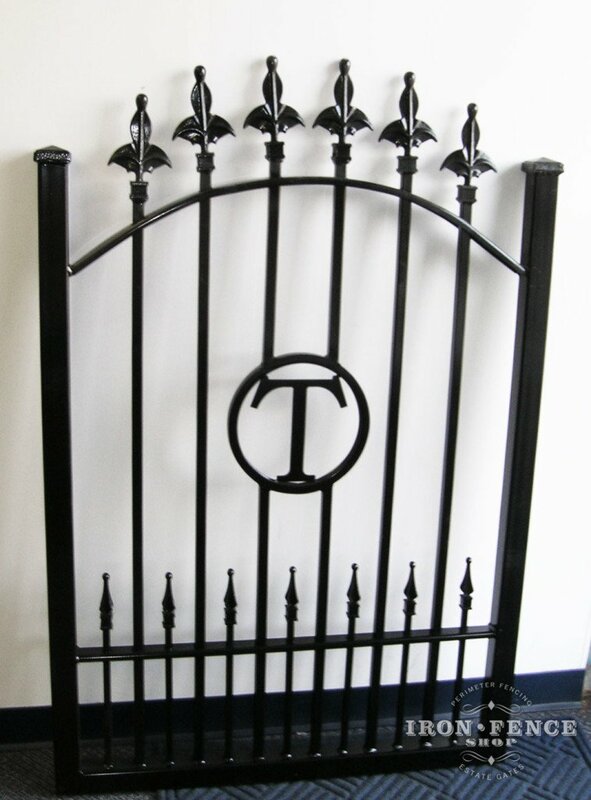 A customer of ours had some extremely beautiful custom gates built but had no fence to go along with them. Our Infinity Aluminum fence in Classic style turned out to be the perfect one to compliment their beautiful gates! Looking for a more customized fence or gate, but not the long lead times or higher costs? Check out our cast add-on decorations for a custom look on our in-stock standard panels! They affix to your pickets with self-tapping screws and can be arranged in various way. 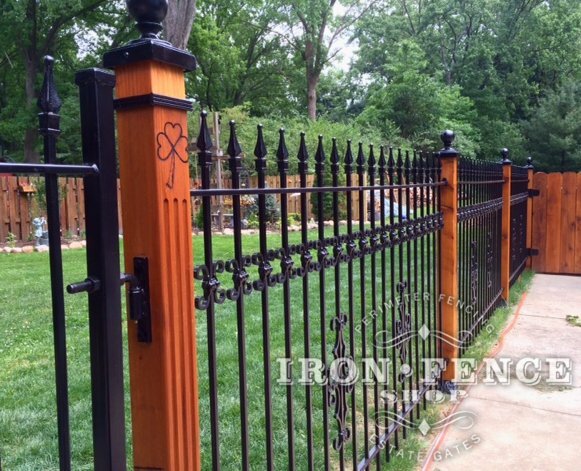 Read on to learn more and see some examples of our add-on decorations customizing our standard iron fence panels. When most people think of aluminum or iron fence projects, they think of full yard enclosures. 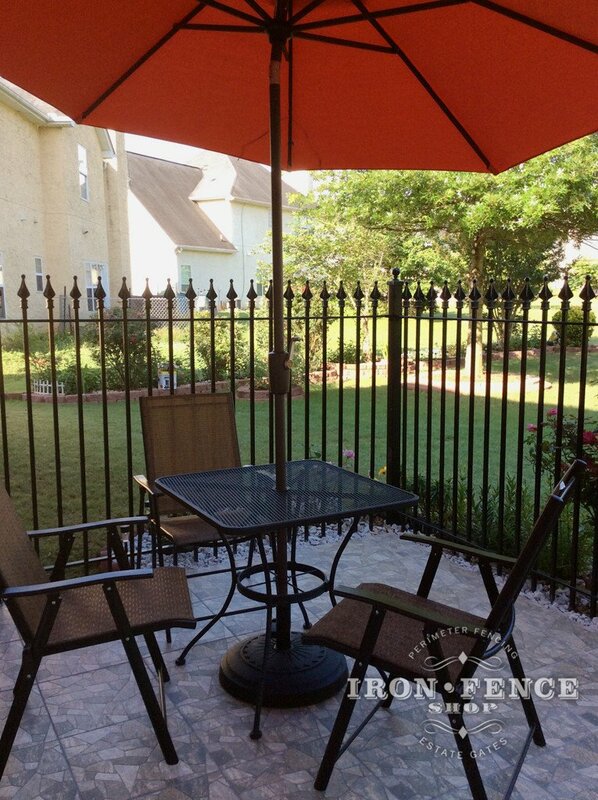 However, both aluminum fence and iron fence work great for a decorative barrier around a patio. Check out some examples of our Stronghold Iron fence and Infinity Aluminum fence surrounding some patios and porches. 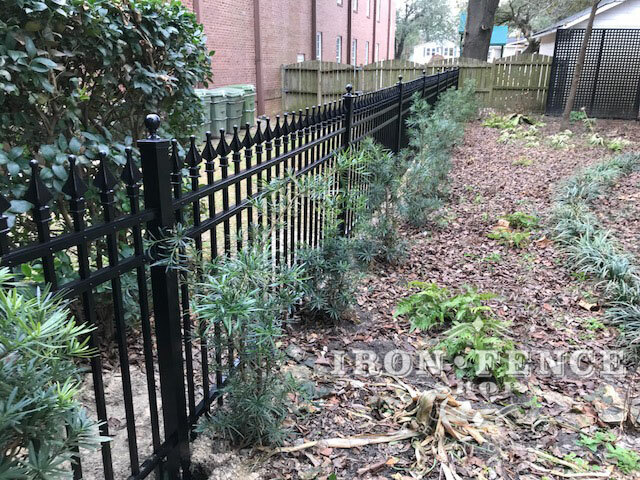 A Custom Wrought Iron Hoop and Picket Fence Testimonial from South Carolina! 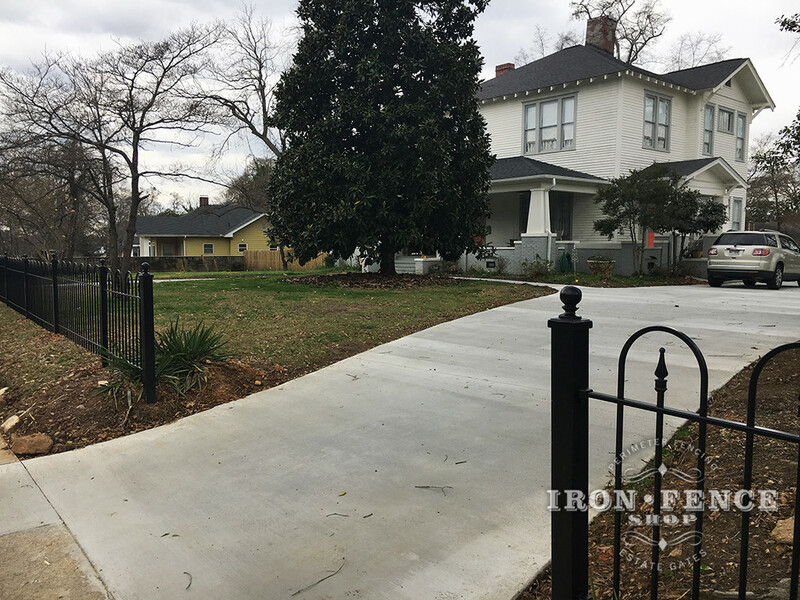 Gene from South Carolina sent some kind words and beautiful installed photos for the custom iron hoop and picket style fence we built. See what Gene had to say and check out the other photos of this beautiful Victorian hoop and Picket fence! 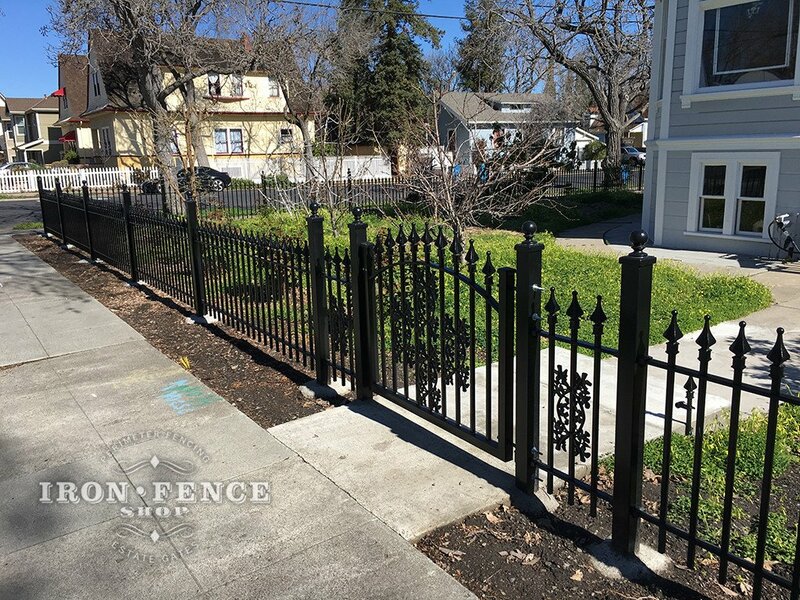 A Wrought Iron Fence Testimonial from California! 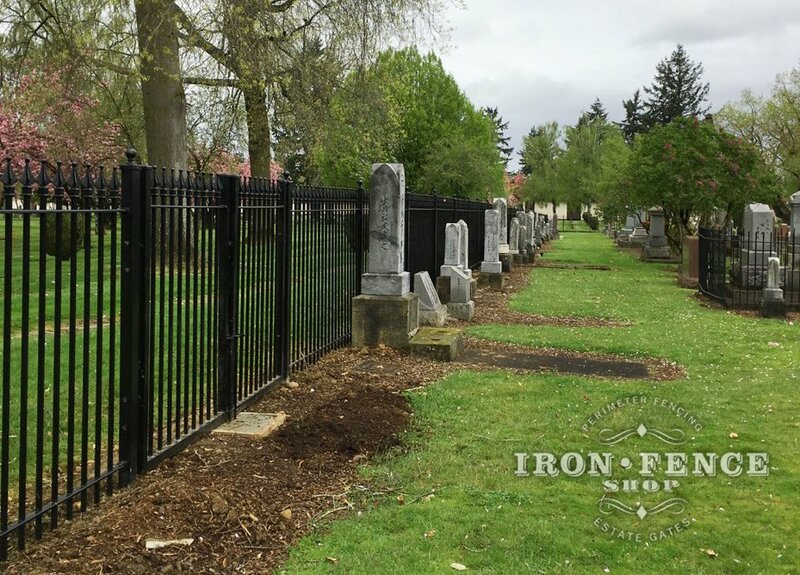 Wrought iron fence has been used around cemeteries for centuries. It is not only a durable fence that can last for decades, but it has a distinguished and reverent appearance unlike chain link and wood. 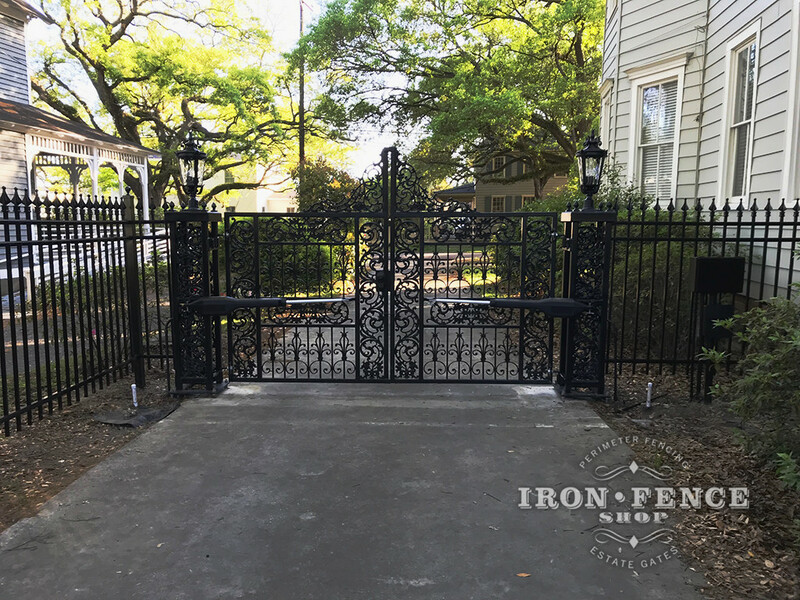 One of the more popular customizations on our Stronghold Iron fence and gates is to go with a different cast iron finial tip instead of the standard quad flare style finial. The installed photos can be tough to make out details on, so I wanted to do a post giving a better up close look at the custom cast iron finial tip options. Some kind words from one of our customers on a 4ft tall Infinity Aluminum Fence they recently installed.